Sevenoaks Suns have clinched their first WBBL Championship title. 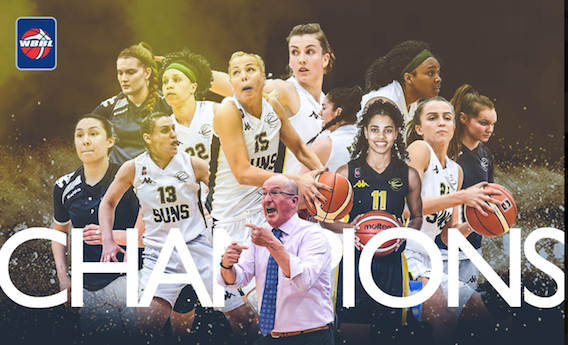 Suns defeated Manchester Mystics 57-44 to claim the club’s third and biggest prize, having won the WBBL Trophy and WBBL Play-Offs last season. “We have deserved this due to hard work, playing together and believing in ourselves,” said head coach Len Busch. “The road has been hard and we have faced our obstacles, but that’s what makes this group really special. Suns made up for losing the recent Betty Codona WBBL Trophy Final to Leicester Riders by edging out their rivals for the league title on a head to head tie breaker on the season’s final weekend. They will be strongly fancied to now make it back to The O2 and the potential prospect of defending their Play-Off silverware next month. Elsewhere, Caledonia Pride and Cardiff Archers took the final two playoff spots in seventh and eighth, with Oaklands Wolves missing out on head to head against the Welsh outfit.